$1,000 for any breed paid in full by time of service. AQRA Desert Classic, Bitterroot, and Beehive. 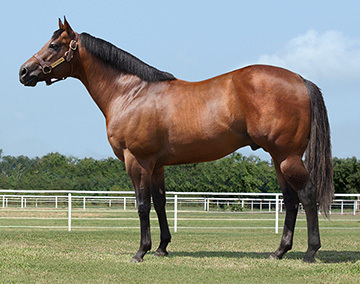 East Hi-Point Three-Year-Old Colt, East Hi-Point Aged Stallion, 1st-Mardi Gras Derby S., 1st-Billy Montgomery LAD S., 1st- Amelia Belle S., 2nd-Louisiana Classic S.(G2), 2nd-John Alleman Memorial S.(G3), 2nd-Opelousas S., 3rd-Louisiana QHBA Sale Futurity(G1), 3rd-Louisiana Champions Day Juvenile S.(G2), 3rd-Miss Polly Classic S.(G3), 3rd-Mid-City S.(G3), 3rd-Streakin La Jolla S., Finalist in Louisiana QHBA Futurity(G1), Finalist in Lee Berwick Memorial Louisiana Bred Futurity(G1), Finalist in Louisiana Champions Day Classic S.(G2), Finalist in Louisiana Champions Day Derby. (G3), Finalist in Develop a Plan S.(G3), Finalist in Old South Derby, Finalist in The Treme Derby, Finalist in Flying Breed S., Finalist in Mr Jess Perry Louisiana Downs S., Finalist in Swift S.